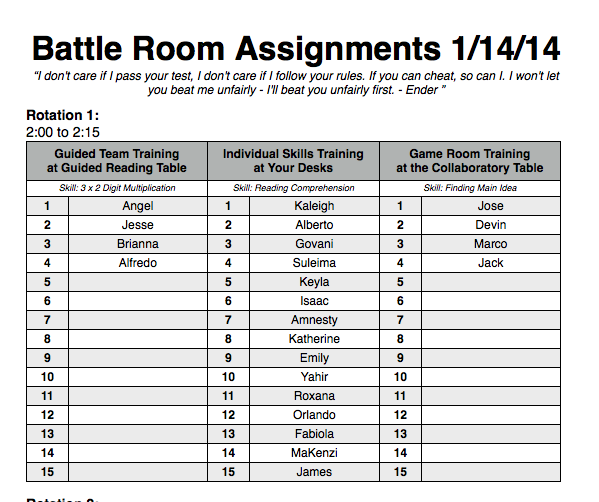 The Battle Room (inspired by the book Ender's Game) was a time during the day for differentiated instruction. Small groups of students worked on the skills they needed the most help with. They battled with themselves to do better. Here are some examples of how the Battle Room was run. 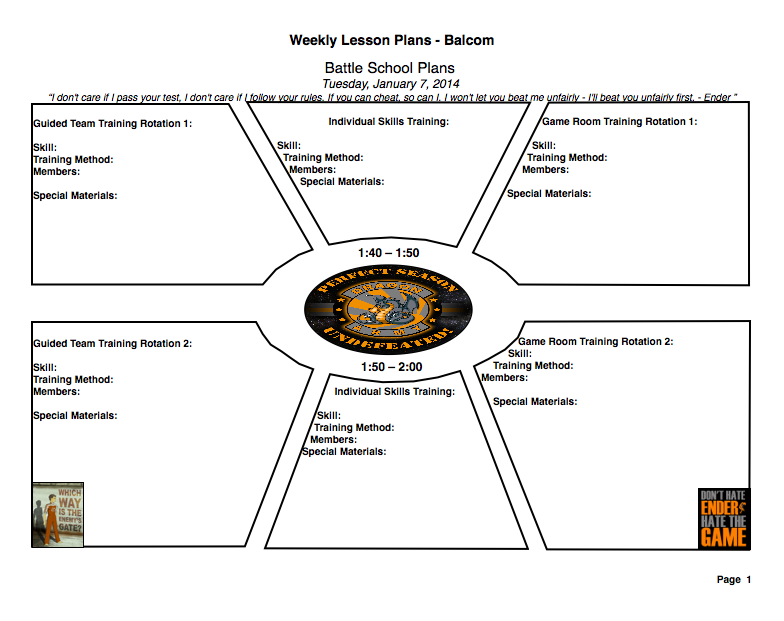 Assignment: Play the main idea game.